Wind energy is clean, renewable energy that has a low environmental impact and a high economic benefit. While it is not zero carbon energy because of the construction and decommissioning involved in creating wind turbine farms, it is still the lowest generator of carbon footprints among all forms of renewable energy sources. 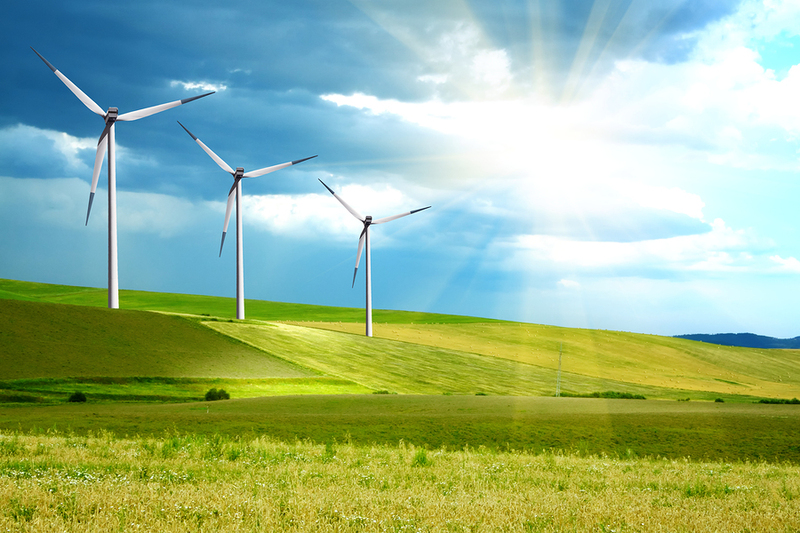 What is wind energy in terms of its ability to generate electricity for homes and businesses? It is cultivated in its natural form with the help of a turbine. A turbine is a structure not unlike an old-fashioned windmill. It stands about 80 feet high and has several blades which are forced to rotate by the wind itself. Through a kinetic action, the wind is turned into electricity via an internal generator located inside the turbine. The power is then transmitted to a power grid where it can provide power to light homes, businesses and keep electricity flowing for all other needs without relying exclusively on the use of non-renewable energy sources. In order to provide the greatest and most consistent power supply, wind farms have to be strategically set up in windy areas. Winds from offshore are ideal, and there are turbines being constructed in many bodies of water around the globe. Sites are carefully observed for a time before wind farms are erected. Other strategic factors that have to be sorted include obtaining permits for constructing the farms on private land, raising money to pay for the farm’s construction and identifying the best firm to engineer and build the farm. Private land owners are asked to lease their property to the wind farm developer. This is beneficial to everyone as new, renewable energy sources are able to be provided, and the land owners earns money in the process of leasing his or her land to the cause of erecting more sources of renewable energy. What is wind energy good for though if it is only available to small areas near the windy spots where the farms are built? The answer is that once built, the turbines are connected to a power grid which can transmit the power to distribution lines where the electricity can be used by others from a great distance further from the farm. Wind farms offer a tremendous benefit to the economy in that there are more jobs being created in this power sector. Since the United States possesses topography that is wind-friendly, it is promising to be one of the largest producers of wind energy in the future. It has over 20 percent of the world’s currently installed wind farms, following closely behind China. The United Kingdom is also poised for growth in the wind sector as it is a very windy environment. Wind energy is populating throughout India, Germany and Spain, too. The United States has enough turbines to provide electricity to over 15 millions homes. The number of homes that will get electricity from wind power is expected to grow worldwide because of how clean and renewable this source of energy is.